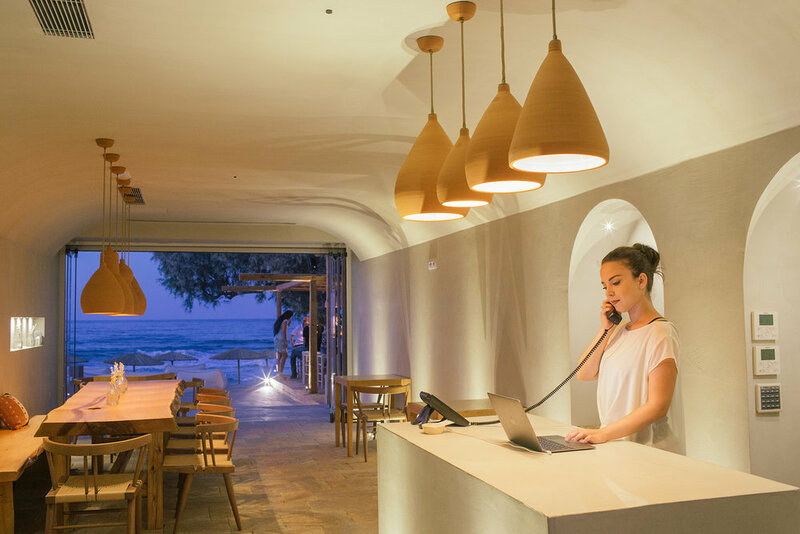 The Theodore Boutique Hotel is located along the main costal road of the vibrant and lively village of Agia Marina, 7 km West of the city of Chania. A prime beachfront location with endless views of the blue waters of the Cretan sea and stunning vistas of our namesake – the sacred island sanctuary of Thodorou. Chania on the Greek island of Crete– is a special crossroads of civilizations, each of which has left its imprint on the soul of the island and her people. Continuously inhabited for over 6,000 years, Chania boasts one of the most beautiful harbors in all of Europe with its Venetian lighthouse, quaint alleys and centuries-old city walls and ramparts that await the curious traveler on a journey of self-discovery. Dotted with contemporary Christian churches, relics of old Byzantium, Ottoman mosques and a 15th century synagogue, as well as remnants of temples from Crete’s pre-Christian antiquity, the place has a special feeling of spirituality that doesn’t exist in many places.